Last edited by PluMGMK on Fri Mar 31, 2017 8:25 pm, edited 1 time in total. Why is this on Will Host for Food? PluMGMK wrote: Why is this on Will Host for Food? Well it doesn't matter when its gone, because only very few people work with it. I didn't lose it. Anyway, the people who do use it matter too. Interesting... Is it possible to change Rayman's sprite? It is possible to make Rayman dark and fat in Candy Chateau. I have already said this. Fat? Looks more like he's been squashed. It is actually the same effect as when he gets squashed. 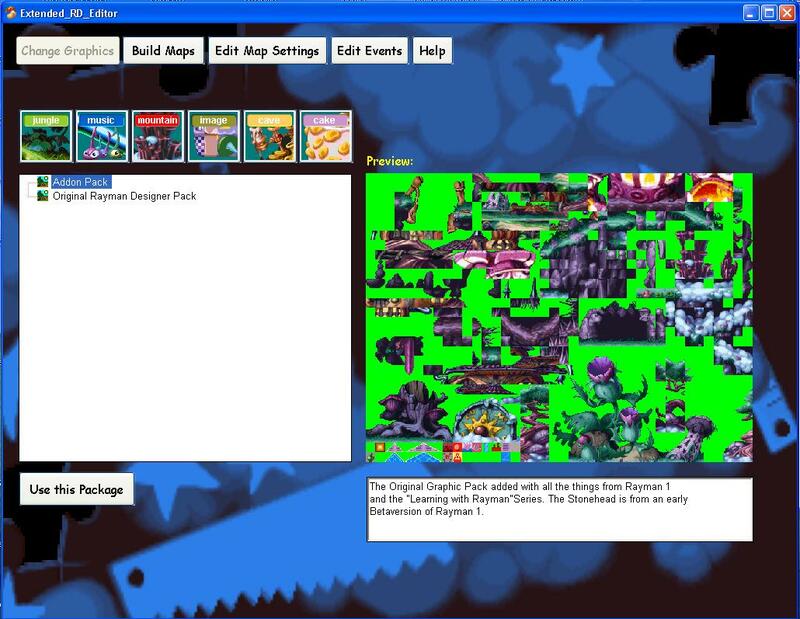 It's possible to use Cheat Engine to turn him into normal Dark Rayman, but that's an unrelated matter. Were there any pictures of Bad Rayman's tongue? No, but I can probably get one. Okay, MasterHero, you are now officialy a hacker ( oh, and that's a good thing ). 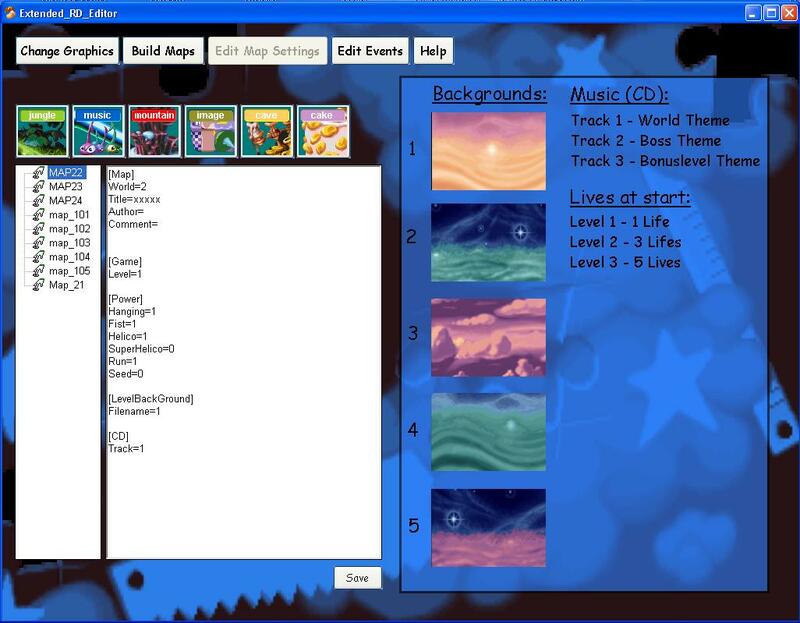 Unfortunately i don't have Rayman Designer, but i like, that still after years, people deelop extensions for it to keep it alive. You rock ! I'm one of the main contributors BTW. 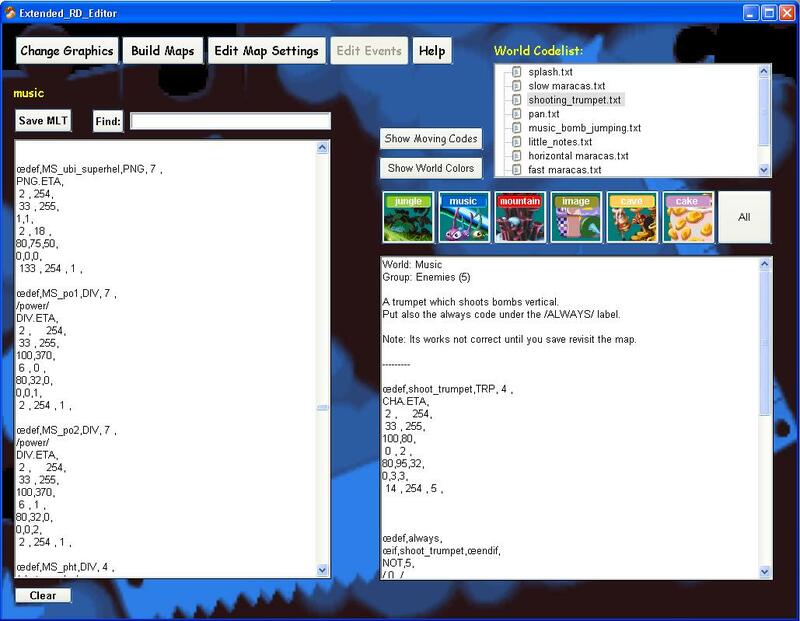 I don't have the source for the app itself, but I did create a lot of the codes that are used to add objects to the game. I was the one who discovered how to turn Rayman into Dark Rayman BTW. Or I think I did, but Jaxx may have known before and not told us. And i don't have a source code. I made it with Multimedia Fusion 2 . BTW also the 3 minnigames of Rayman Collector are myde with this MMF (but with an older version).